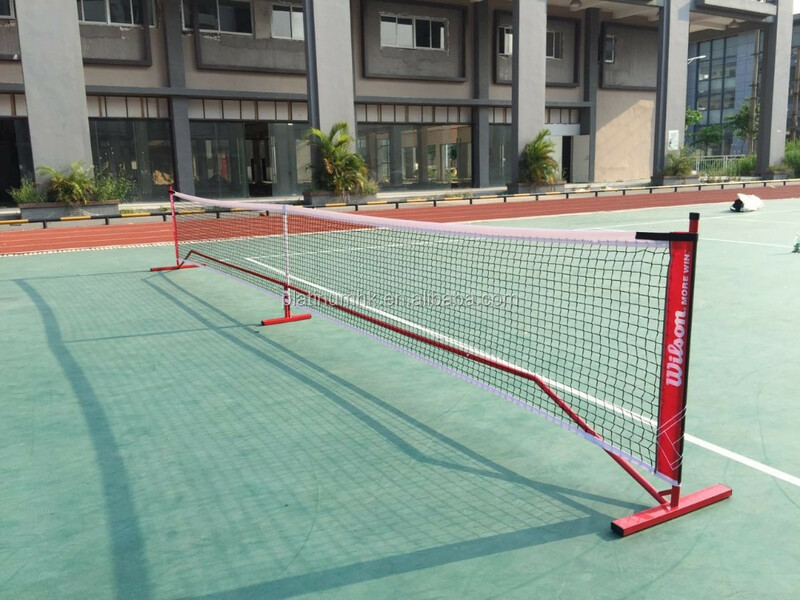 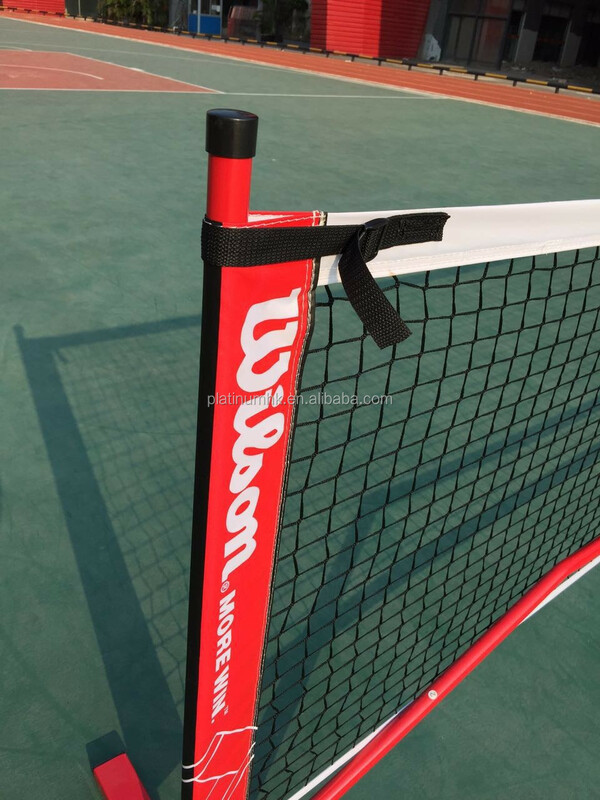 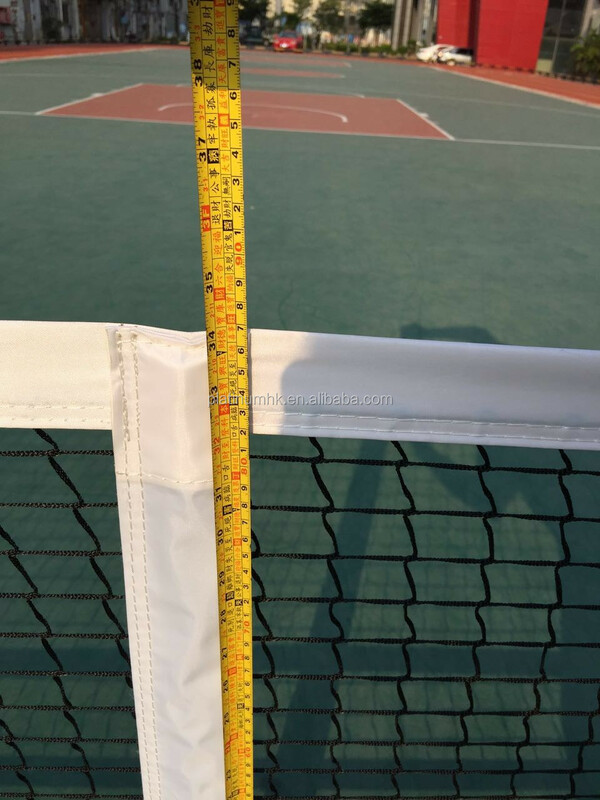 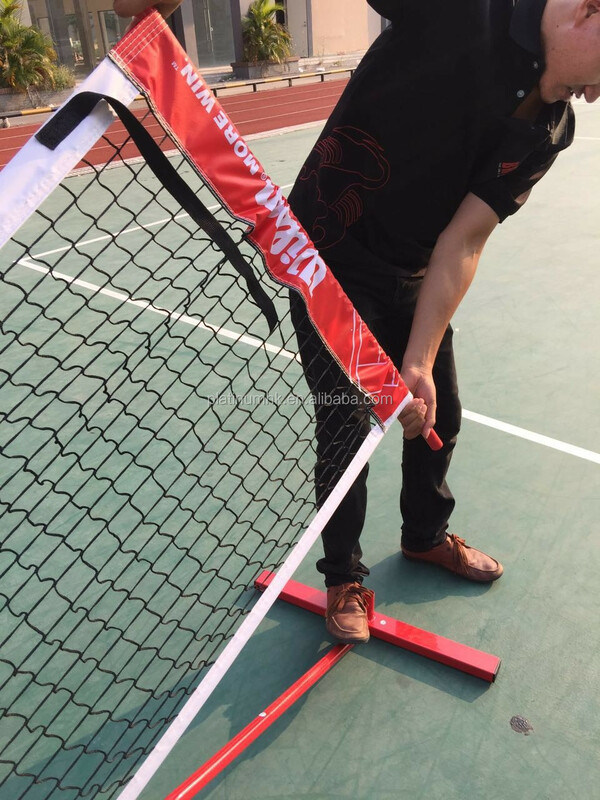 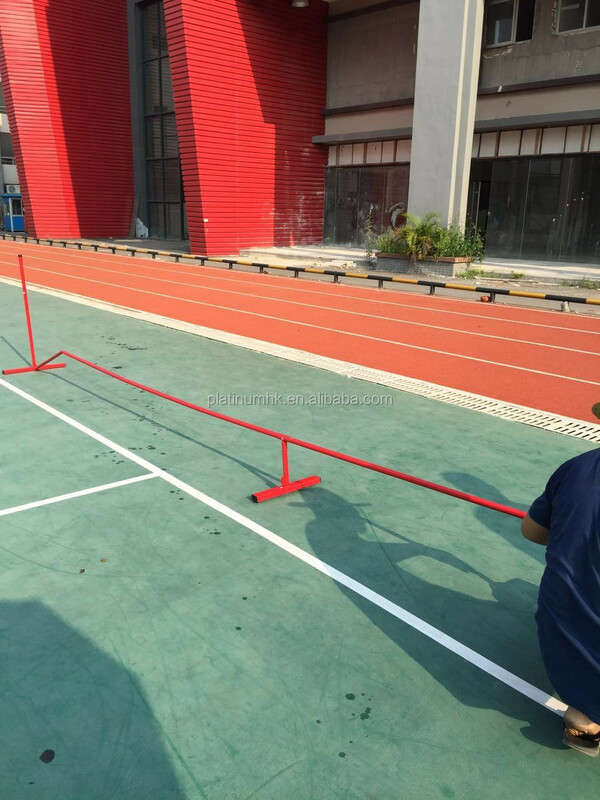 USAPA/IFPT tournament , Tennis training net , it's made by steel and printed Wilson spot color , it is allowing flexibility to play anywhere anytime with just minutes to set up. 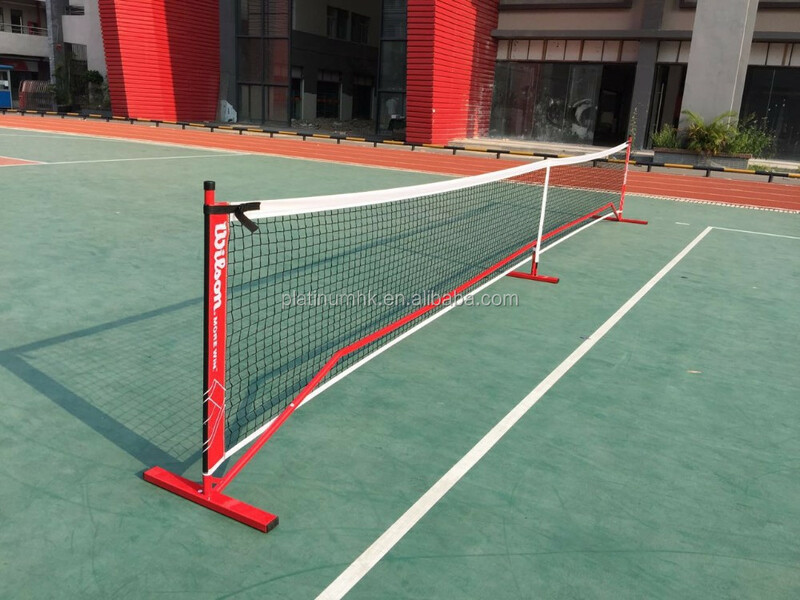 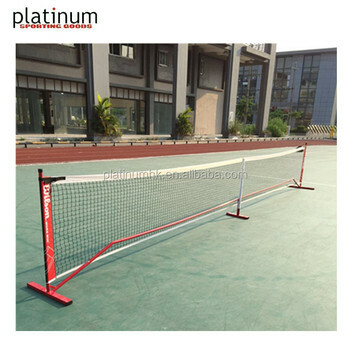 - Same features as other quality net systems such as: Official Pickleball net height (34"h x 22'w),36“side /34” middle Portable, powder-coated steel net system Center-strap design for consistent height Adjustment straps on net edge for excellent net tension Fast and easy assembly Meets specifications of the USAPA and IFP Rulebook, is 22 feet long, has two large bases on either end of the net span, a small center base, flexible fiberglass center pole that connects to the center base, and weighs 23 pounds. 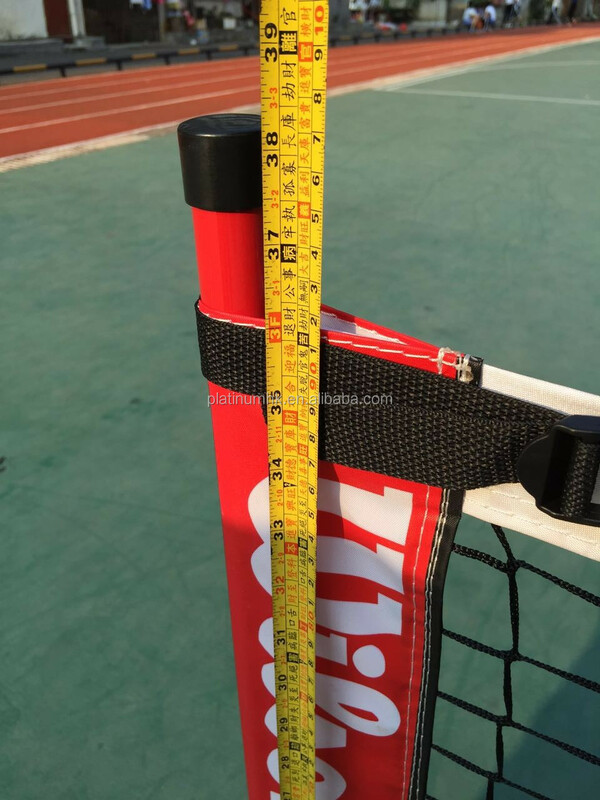 - Unique: the end bases are 36 x 2 inches - giving great stability with its arch and long length. 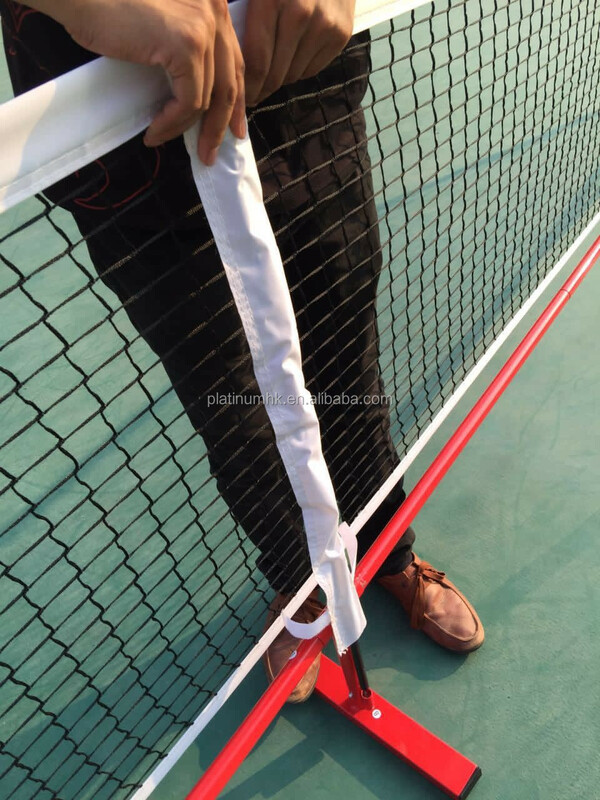 - Unique: the carrying bag has a mesh pocket with a zipper that can hold four pickleballs. 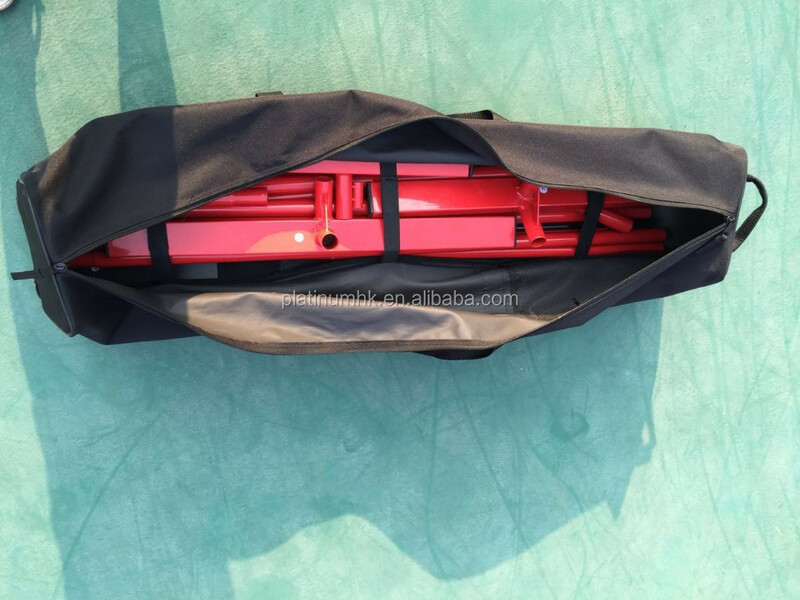 It also has an interior side pocket that can hold four paddles. 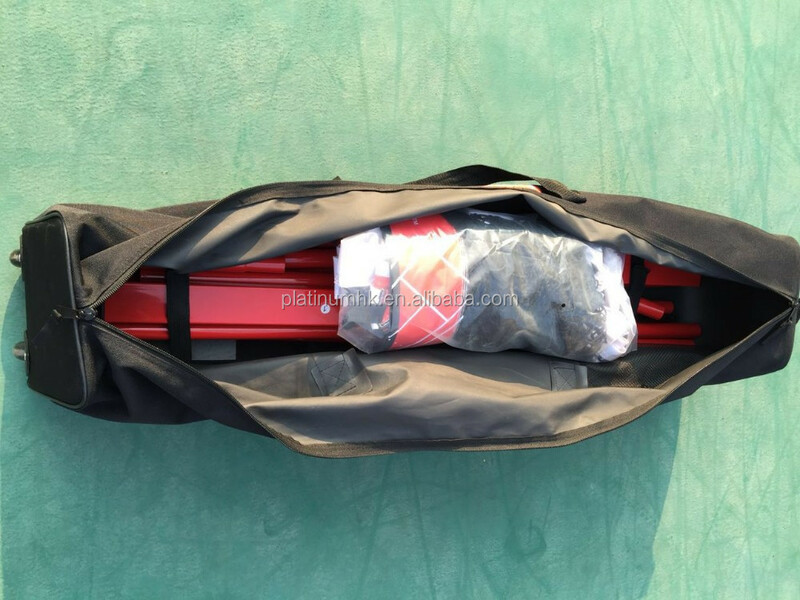 Everything fits in the bag!